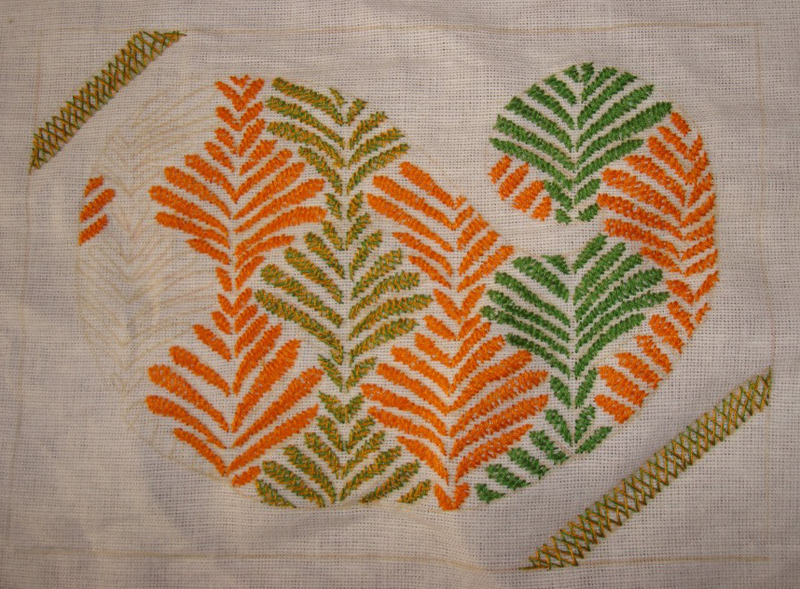 The next stage of filling was done with combining two colours, green and yellow [258 and 304] stranded cotton. 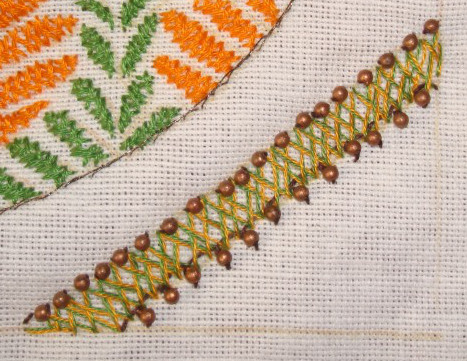 The lines on the sides are also worked with these threads. I wanted to work the alternate designs in green just as orange, but changed to do this. 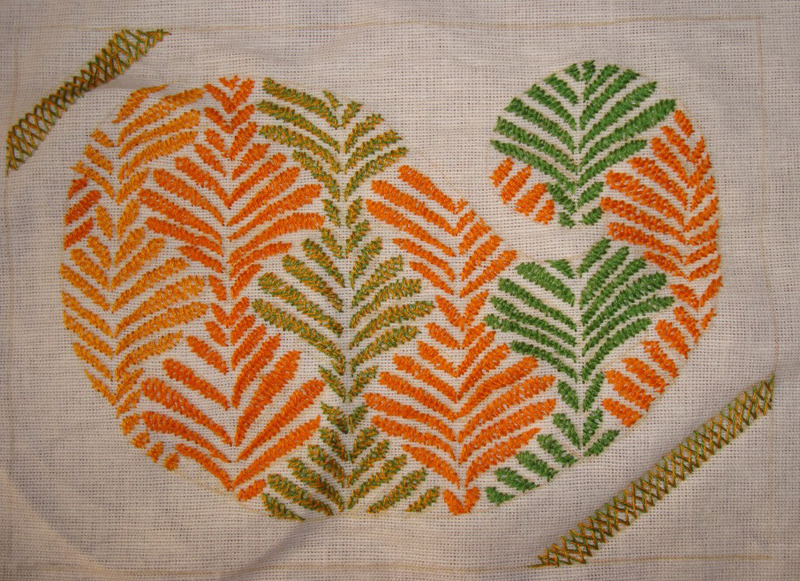 This was last week’s stitch on TAST challenge by SharonB. I am still catching up on the stitches. The studio journal class is in full swing. 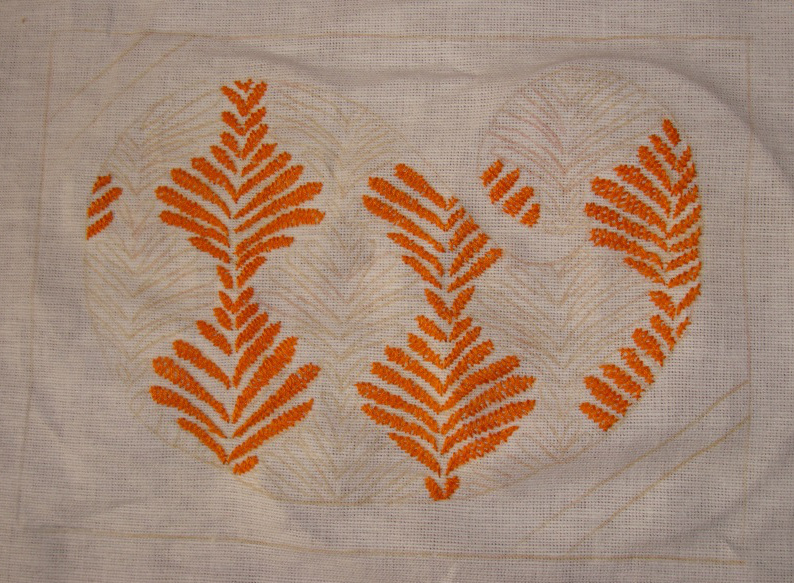 Thought along with the exercises, a piece could be designed for this challenge stitch too. The paisley idea continues in this week too. The filling design was an idea inspired by image on pinterest. It is 8inches by 5.5 inches rectangle. 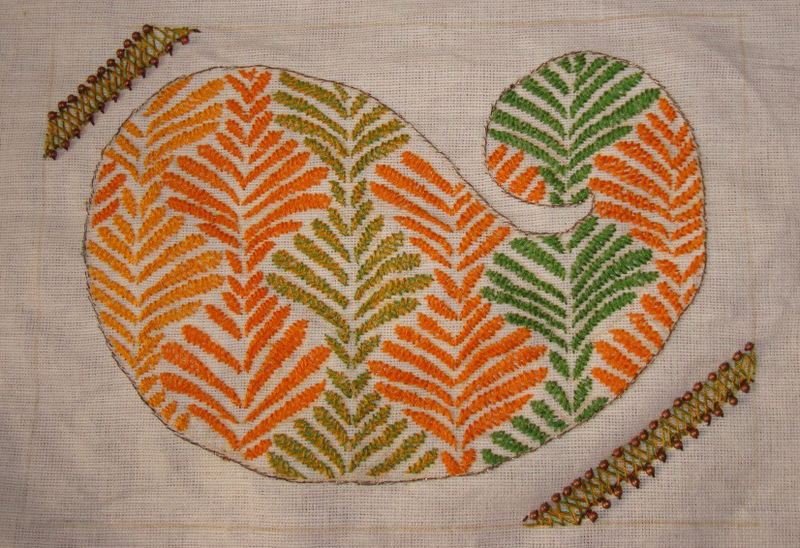 Closed herringbone inside the paisley in orange stranded cotton. 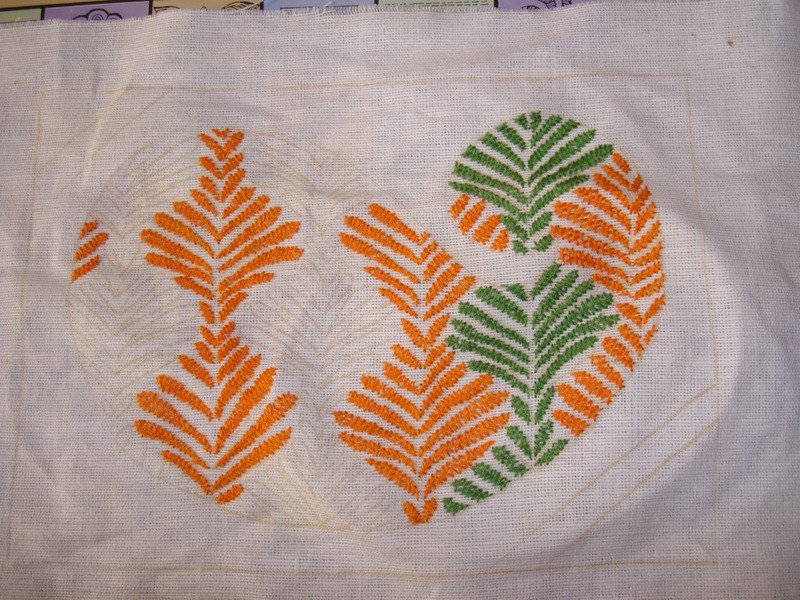 Green thread was added at the next stage. This is taking sometime to work. Exercises for the class are still to be done. Next time a simple design would be better.